As for the lawsuit Volfoni raised against GetD, we didn’t receive anything from the court, no matter about the court decision. There is not any evidence to prove that GetD infringed the patent of any company. It is obvious that Volfoni is desperately trying to stop GetD fast development in China using unfair competition against GetD without any hard evidence to demonstrate the rightfulness of their claims. GetD could officially check Volfonis China patent (no. CN201320848220.0.) and found that there are big differences between GetD products and Volfoni’s patent. In this case, we strongly believe there will be absolutely no infringement. Volfoni applied invention patent in China but was denied by the official Intellectual Property Office for the first round of checking. The listed reason is that: “Patent without creativity as Part 3 of No. 22 of patent law request”. See more from attachment 1. Volfoni’s utility model patent is clearly lacking of creativity. Subsequently GetD had hired professional lawyers to invalidate Volfoni’s patent in China. As for the lawsuit by Freedeo against GetD in China, the case has not been finalized yet. GetD also raised a lawsuit against Freedeo on the 24th of Nov, 2015 about Freedeo’s Commercial Defaming Behavior. GetD did receive the Court decision on the 16th of June, 2017 with the following result: Freedeo is losing the lawsuit and has to pay GetD a fee compensation of 80,000RMB for unfair competition. See more from attachment 2. GetD Tech (HK) Co., Ltd (“GetD”), founded in 2005, is a fast-growing 3D products manufacturer and supplier. GetD is head quartered in Shenzhen, China, with key partners in South America, Europe, Russia, Turkey and India. With 6,000 ? 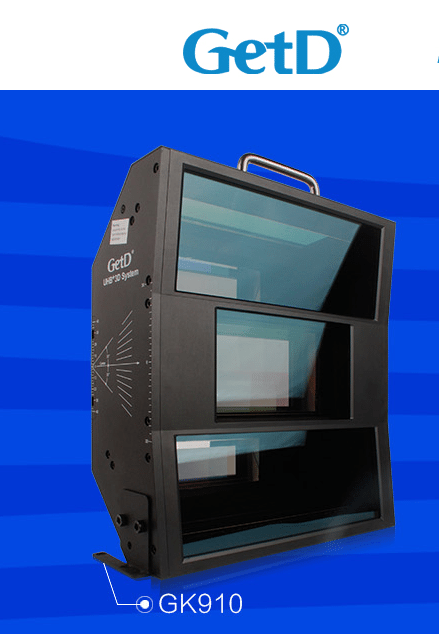 factory and 500+ employees, GetD has developed highly qualified 3D systems and glasses for cinema, home theater and educational market. GetD is committed to deliver high end quality products at very competitive price as well as customer-oriented services. All GetD cinema products are on Disney & Sony lists of approved 3D equipment with up to 5 year warranty.